From the bestselling author of Summer at Shell Cottage comes The Year of Taking Chances, a novel full of warmth, humour and romance. Because love is always worth the risk . . . It's New Year's Eve, and Gemma and Spencer Bailey are throwing a house party. There's music, dancing, champagne and all their best friends under one roof. It's going to be a night to remember. 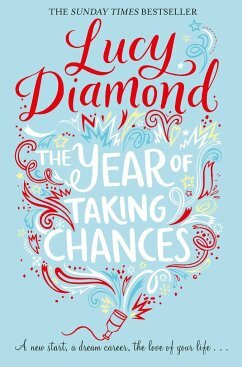 Also at the party is Caitlin, who has returned to the village to pack up her much-missed mum's house and to figure out what to do with her life; and Saffron, a PR executive who's keeping a secret which no amount of spin can change. The three women bond over Gemma's dodgy cocktails and fortune cookies, and vow to make this year their best one yet. But as the months unfold, Gemma, Saffron and Caitlin find themselves tested to their limits by shocking new developments. Family, love, work, home - all the things they've taken for granted are thrown into disarray. Under pressure, they are each forced to rethink their lives and start over. But dare they take a chance on something new? Lucy Diamond lives in Bath with her husband and their three children. She is the author of the bestselling novels Summer at Shell Cottage, The Beach Cafe, The Year of Taking Chances and The Secrets of Happiness.